Remember the “good ol’ days” when you could send out direct mailers for seminars and other events to the masses? You’d get a decent amount of responses, the people showing up seemed to be decent prospects, and you called it a success. Or the days when you relied almost solely on family friends, and you got by. The Internet was barely what it is today, and if you were asked what “social media” is, you’d be terribly confused; perhaps guessing it had something to do with sharing newspaper clippings with people you knew. As the bearer of bad news, the “good ol’ days” are over. They have been for years. It’s time for a fresh start; a new strategy. It’s no longer enough to stand idly by, putting all your marketing dollars towards direct mail (or brochures), hoping for a decent response. This is a new age. It’s time for a new beginning. We compiled a short list of the top marketing tips for advisors that won’t break your bank, seize your willpower, or leave you with no time for your clients. Tell your story, connect with people. Stories connect people. They provide a commonality where people can understand and empathize with the storyteller. A good story strengthens connections and makes people more trustful once they’ve understood another’s story. That means you should be crafting a compelling story for yourself and your business, and then use it in your marketing efforts. On your website and social media channels, tell the story of how you got to where you are. Once people understand your journey, they better understand you. Take this story and mesh it into your business’ story—how your business got started, why you went into financial advising, and how you can help people. You see, effective messaging contains all the elements of an enticing story: they include characters (yourself, employees, and target audience), challenges (audience’s pain points), and motivations (desired outcomes). They also include a climax (value your business provides), and finally, a conclusion (value was delivered). 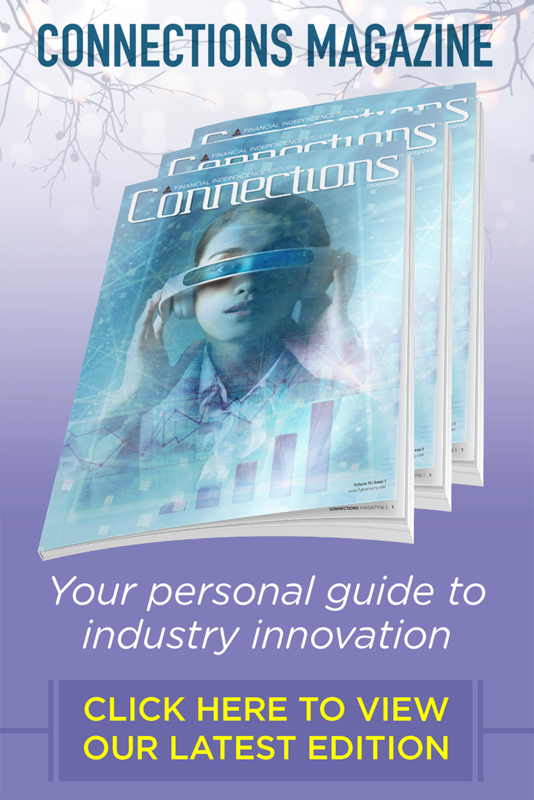 Once these elements are put into action, you now can build your central messaging to demonstrate how your products and services take clients from where they currently are, to their ideal scenario that improves their life and well-being. Content marketing is (still) king—so cash in on it. Crafting compelling content is the foundation for any great marketing strategy today. Your content is unique to you, and you can put it everywhere you want: on your website’s blog, through your social media channels, or heck, even the “old-fashioned” way—however you choose to use your content, the most important thing is to use your content. To create the right content, the most important thing to remember is to be authentic. No one wants to hear a fabricated story or a story that’s missing pieces. Tell your unique brand story, and engage your target audience in the process. Great content is content that’s relevant to your audience and adds value to people’s lives. Is deciding between permanent or term life insurance a pain point for many clients? Write a whitepaper describing the two. 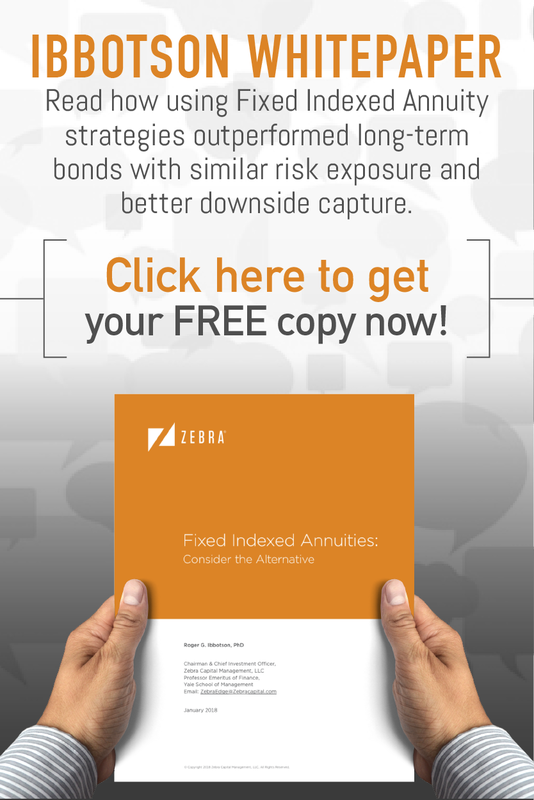 Are clients having a hard time picking an annuity product? Write up a “Top Ten” list of the best annuity products you’ve had success with. The basic goal is to help your clientele by providing value; making their decisions easier, and lives better. Content can do just that. However small, get your mini-influencer marketing rolling. You may have heard about influencer marketing since it’s been a big buzz term lately. The thing is, it’s warranted for all the hype it’s received. Influencer marketing summed up is the positive word-of-mouth spreading of brand awareness by customers who hold a large influence (usually on social media), instead of through advertising or media outlets. Now, we don’t expect your clients to have 50,000 Instagram followers, but each of your clients can be mini-influencers. But how can you transform your clients into these mini-influencers? Pretty simple, right? Influencer marketing functions as a snowball effect. In the beginning, your influencers may be just a small group of people. But, by continuously finding worthwhile solutions to those clients, you’ll start to pick up more and more mini-influencers. The positive messages spread will trigger a chain reaction. The satisfied client will tell his/her family, friends, co-workers, etc. (and hopefully, they know a lot of people). That group should then be impressed enough to engage with your business themselves and spread the word further, and the cycle continues and thrives. So, what started as a small number of people gradually became a powerful influence in the form of happy clients acting as dedicated promoters of your brand. Pro tip: you can always ask for these influencers to write a review on Google or your Facebook page. If they like you, they should be willing to do that, and hopefully even write a post about you on their own social channels. Make social media more important than your website. If you’re publishing content like you should be (see tip #2), the best place to post it originally would be on your blog or another specified section of your website. Don’t let that content lay dormant, though. Post it to all your business’s social media channels! Perhaps even more important as creating the actual content is making it visible for all to see. Having that great blog post or whitepaper on your site is great, but chances are, your social media pages get a lot more traffic. Not many people go to a business’s website daily, but they do get on social media regularly. If you’re posting links to your new blog post on your Facebook, Twitter, or LinkedIn page, that post can surface in people’s newsfeeds for days. That makes for a solid formula to get your name and brand out there—plus it gives people a chance to like, share, or comment on the post—making it visible to even MORE people. Don’t have a blog? Even posting your thoughts as a LinkedIn article or Facebook post is effective. Creating great content for your business isn’t enough. It’s all about pushing that content out, and drawing interested readers in—and social media is an effective way to do so. 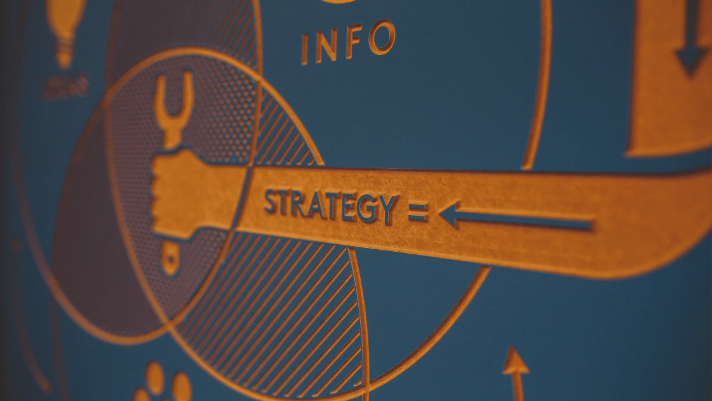 In short: today, it’s all about inbound marketing. Make sure your goals are SMART. Each business’s goals will be different, but they can all be SMART. Probably the most vital tip in this post, you should be setting SMART goals (specific, measurable, attainable, relevant, and time-based) for every aspect of your business—not just marketing. Because if you don’t have proper goals, you have no direction as an advisor. Specific: Make sure your goals are well-defined. Measurable: Easily assess how well you are doing. Attainable: Make sure your goal is actually realistic for you. Relevant: Your goal should reflect one of your core business values. Time-based: Establish a realistic time dream for achieving your goal. This goal is well-defined (increase social media usage to increase followers by 25%), measurable (posting four times per week, comparing social media following), attainable (able to be realistically done in a few minutes each day), relevant (helps your clients and prospects achieve their goals), and is time-based (increase followers 25% by end of the year). Remember, you should be doing this will ALL your goals, but marketing efforts are a great place to start. 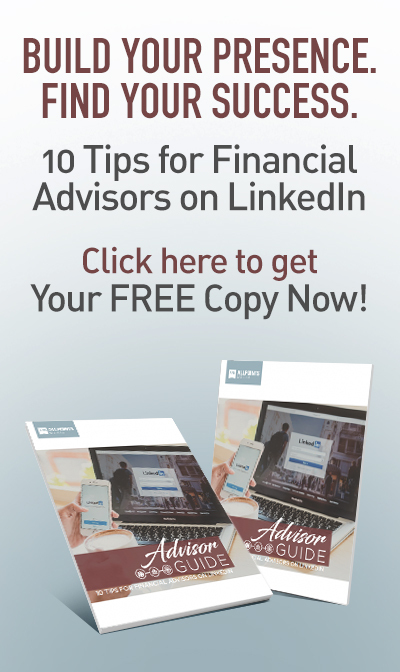 Be sure to implement at least a few of these marketing tips for advisors—because none of them require rocket science, but all of them are proven to grow a business. Take the time to grow yours.